This is to inform all the candidates (both UTME and Direct Entry) that participated in the Federal University, Kashere (FUKashere) 2018/2019 academic session pre-admission screening exercise that the management has released the list of successfully admitted candidates. How to Check FUKashere Admission List. Go to FUKashere admission status checking portal at http://admissions.flexisaf.com:8080/fuk/login.html. Finally click on ‘Login’ to access your admission status. If admitted, print your admission letter and registration clearance form from the same page and come along with them for clearance during registration. 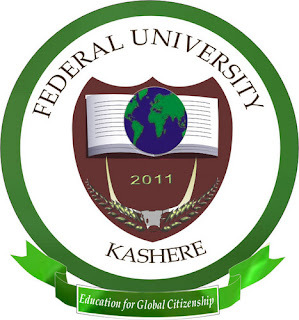 Congratulation to all the candidates that made it to Federal University, Kashere admission list for the 2017/2018 academic session. FUTO Supplementary 1st, 2nd, 3rd and 4th Batch Admission List 2018/2019 is Out Online.